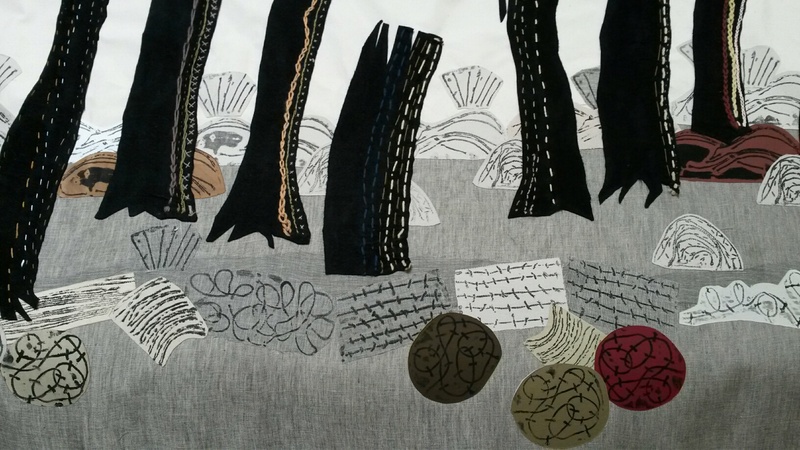 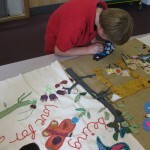 I’ve spent the last week working at St Paul’s C of E primary school, Hook, creating two large textile collage panels to celebrate the school’s 150th anniversary. 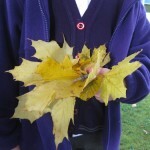 The red words are the school’s values. 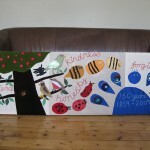 Everyone from year 1 up to year 6 took part, and I completed the work by building two wooden frames and stretching the fabric over them for a neat finish. 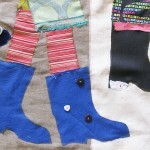 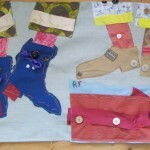 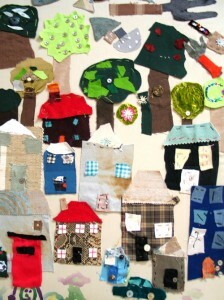 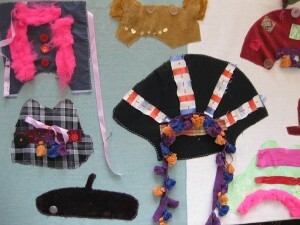 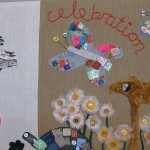 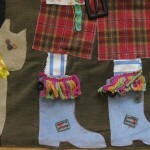 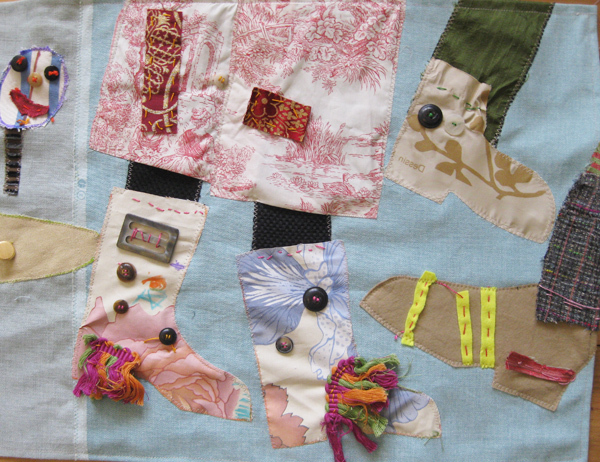 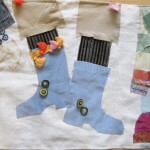 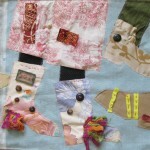 This entry was posted in collage, sewing, Workshops on September 12, 2009 by Jane Porter. 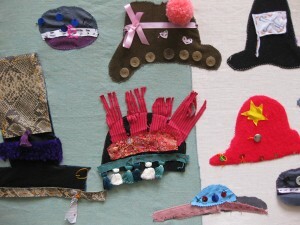 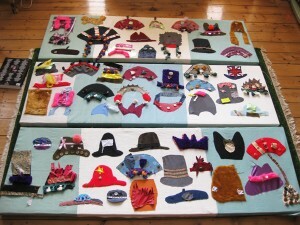 I’ve been making fabric collage hats with Y4 at St Andrews and St Marks, Surbiton – it was for multicultural week, so the hats were from all over the world. 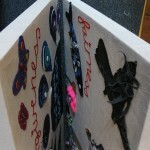 The finished work is stretched over three large wooden frames for display in the IT suite. 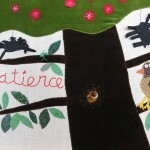 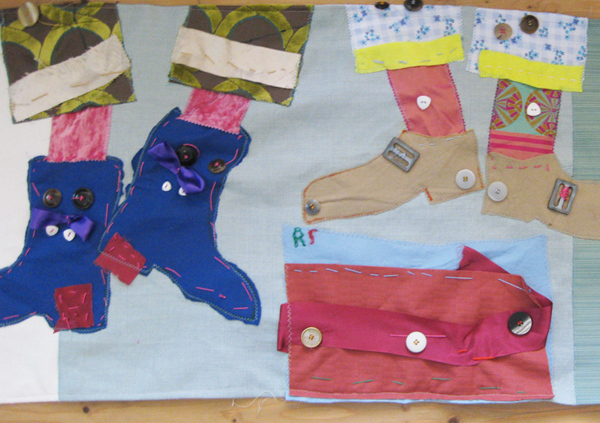 This entry was posted in sewing, Workshops on June 10, 2009 by Jane Porter. 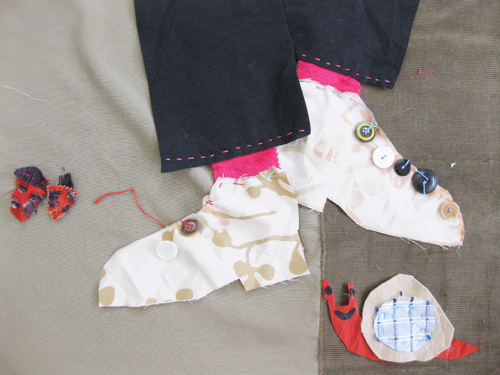 This entry was posted in sewing, Workshops and tagged sewing on October 20, 2008 by Jane Porter. 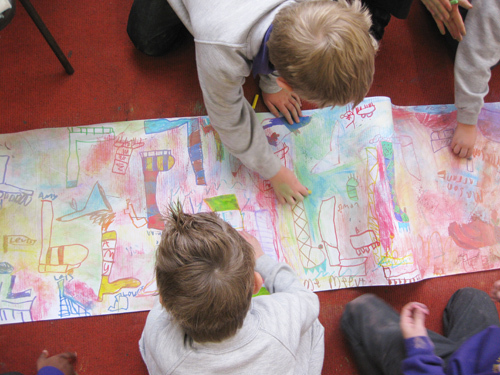 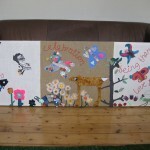 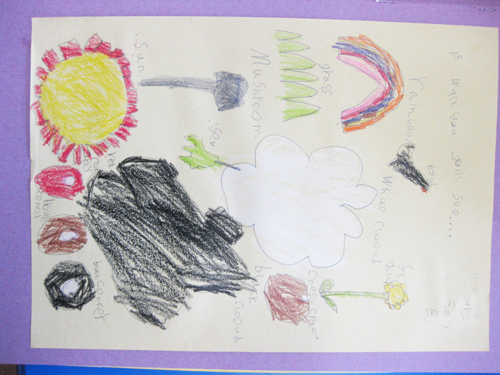 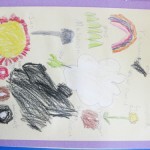 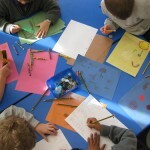 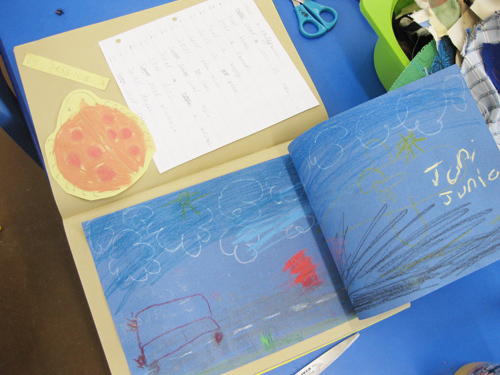 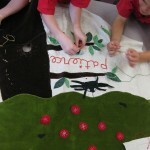 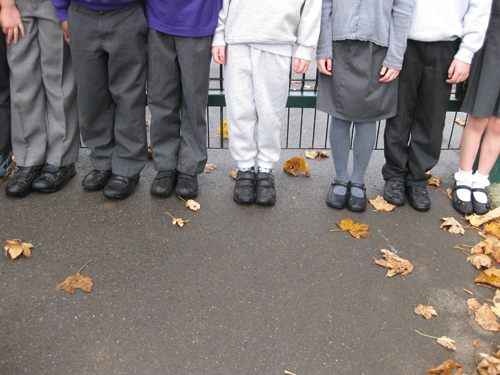 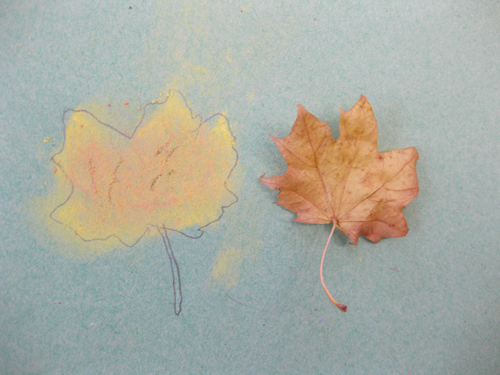 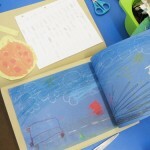 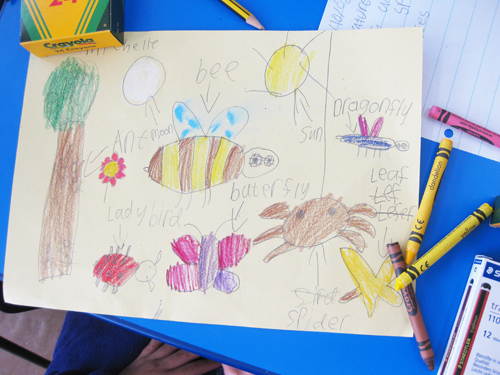 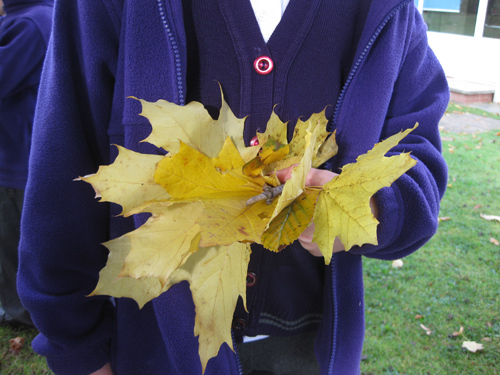 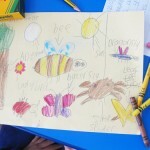 This week I’ve been at Crofton Infants’ School in Orpington working with Year Two on a project called ‘Walk of Art’. 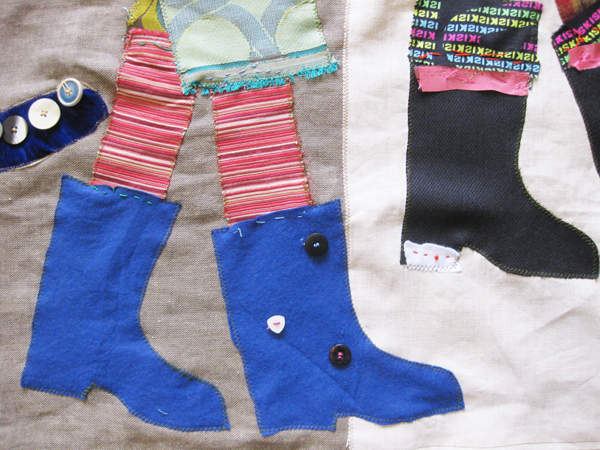 It’s part of Walk to School Month, and is going to result in a textile banner examining why walking to school can be interesting. 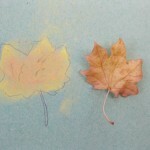 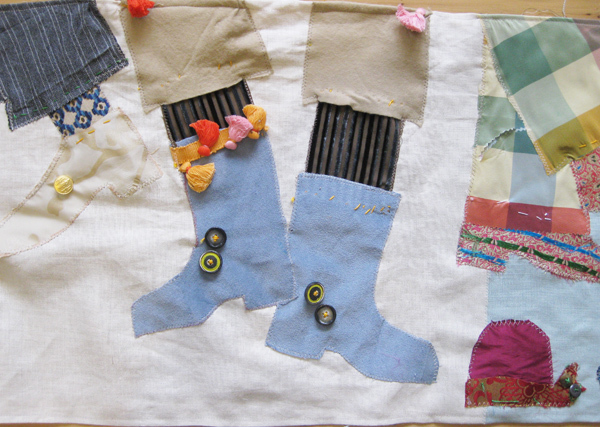 This entry was posted in drawing, sewing, Workshops on October 15, 2008 by Jane Porter. 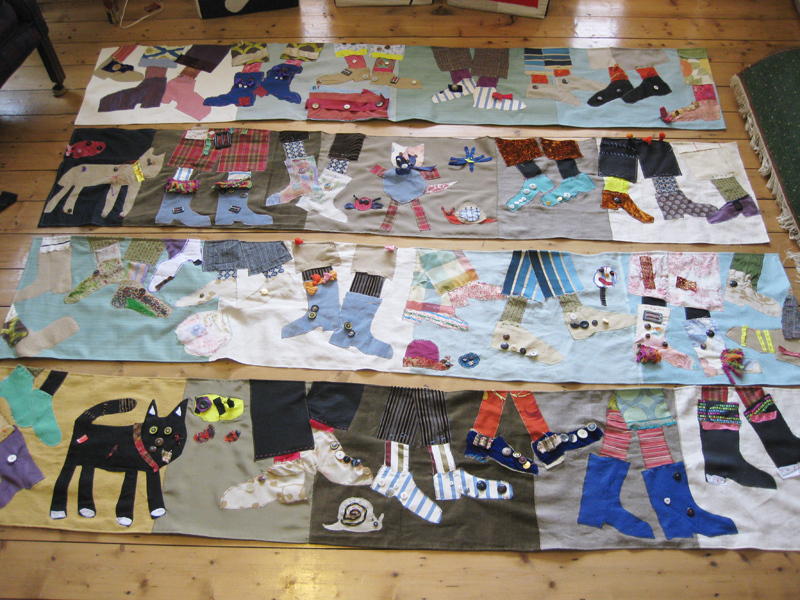 In January I designed and implemented with Sue Edkins a large scale sewing project at Strand-on-the-Green Infants’ School in Chiswick. 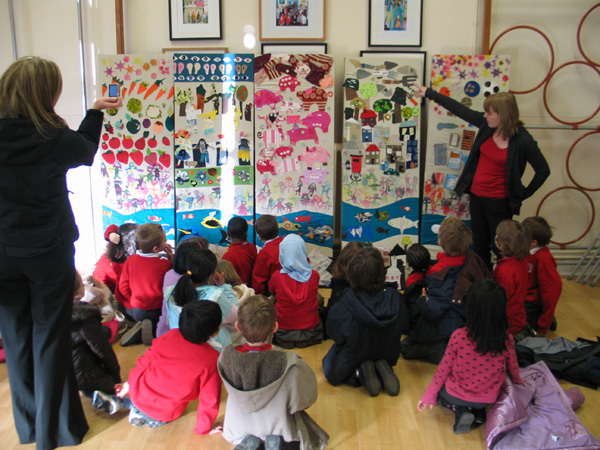 This involved 270 Key Stage 1 children aged 5-7, resulting in five framed textile collages illustrating the ‘Every Child Matters’ agenda. 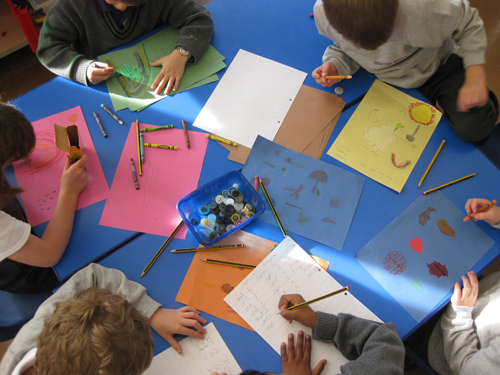 We thought it was important to include every child in this infant school to underline the ECM message – quite a challenge in a three-form intake school. 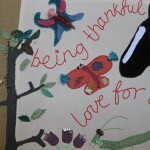 Nursery children used textile transfer paint to create self-portraits while Reception, Y1 and Y2 made their own individual fabric collages using simple sewing to illustrate topics like healthy living and eating, ‘making a contribution’, and (most challenging of all) achieving economic wellbeing. 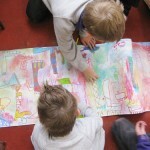 The resulting scooters, strawberries, piggy banks and many others were colour co-ordinated and fixed to the canvas to create a visually exciting set of images from what can seem a fairly dry topic. 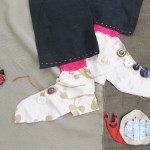 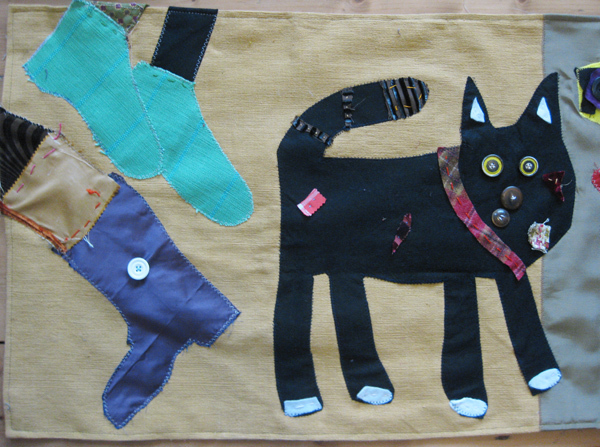 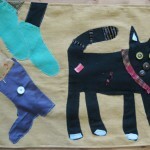 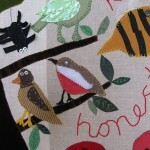 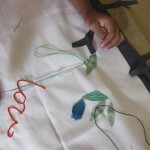 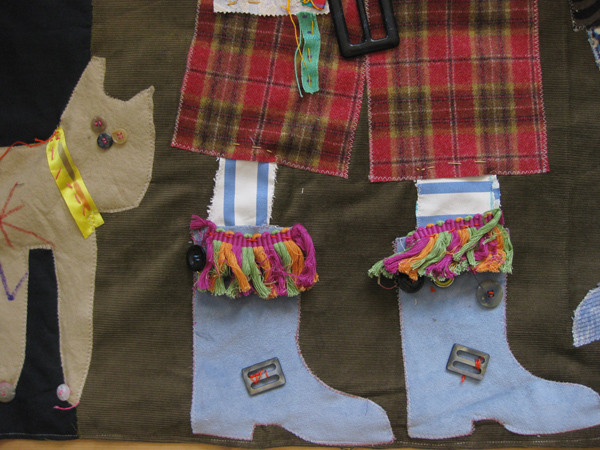 This entry was posted in sewing, Workshops and tagged Key Stage 1, sewing on January 17, 2008 by Jane Porter.